(a) Visually check for defects with the spiral cable removed from the vehicle. If any of the defects is found, replace the spiral cable with a new one. (b) Inspect the spiral cable. To avoid breakage of the spiral cable, do not turn the spiral cable more than necessary. 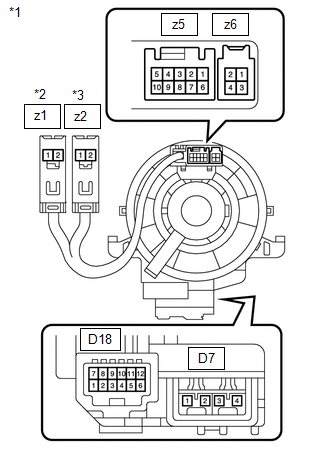 If the value is not within the specified range, replace the spiral cable.